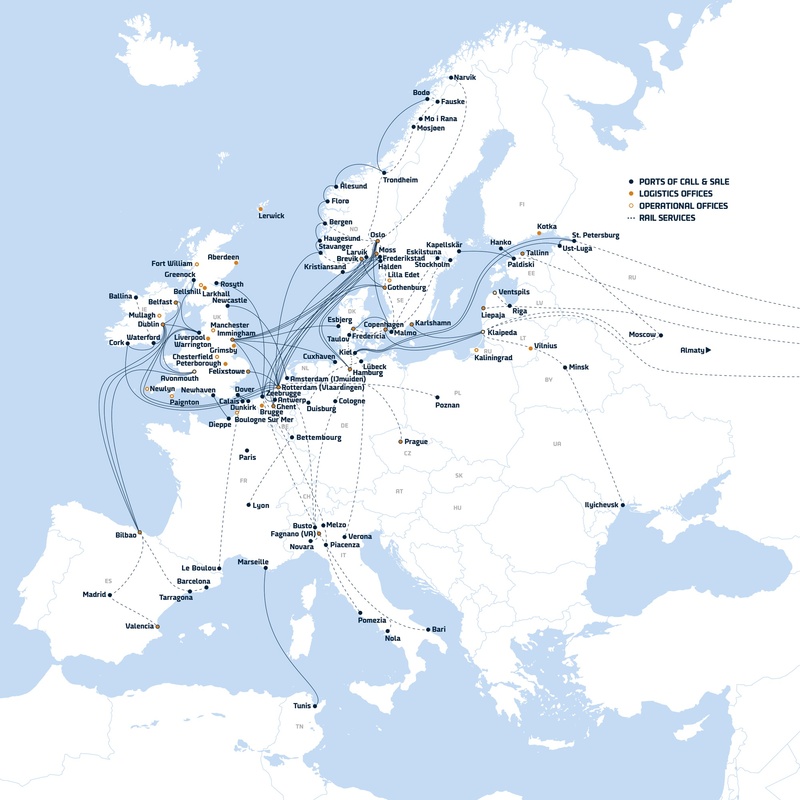 With a fleet of Ro-Ro, Ro-Pax, container vessels, and logistics routes across Europe, DFDS provides access for the chemical industry to one of Europe’s most comprehensive freight shipping and logistics networks. Proportionately the transportation costs of the chemical industry are higher than most other industries, averaging 25% of total cost of goods sold. DFDS recognises the challenges facing the industry and have tailored our safety-conscious solutions to optimise our customers' supply chains. DFDS offers flexible solutions that are high frequency and provide reduced inventory and lead-times. Our expert chemicals industry team fully understands your needs. We can easily adapt to your demands, offering not only traditional transport services, but also innovative and tailor-made solutions. We offer freight management and reverse logistics services, SQAS registration and CEFIC certification, as well as CIDX Chem eStandards supporting a full range of real time integration possibilities. Warehousing, order picking, and distribution. Innovative cassette and equipment based solutions optimising payload and cargo care.